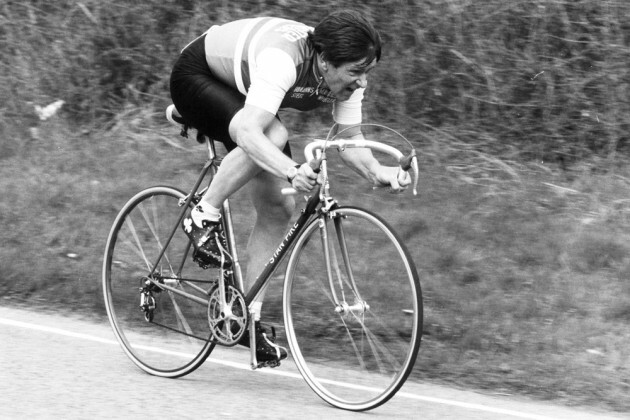 John Woodburn, who sadly passed away April 15, 2017, was a multiple national cycling champion whose long-running career included several place to place records. Competing in international Peace Run 1963 stage race, where he finished 14th. 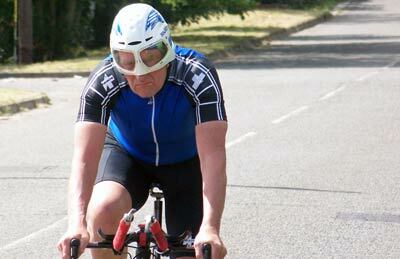 25 mile TT – 51-minute, at age 63. Several place to place records, including London to Bath and back record – Woodburn was particularly proud of this because it involved beating Les West’s record. I met John Woodburn at my second ever open time trial in 2005. At the time, I had no idea who he was or anything about his lengthy and wide-ranging palmeres. In those early days of time trialling, I would also start like a bullet out of a gun and try to hang on. After 5 miles, I overtook my minute man and thought nothing more of it until after the race – when an old man came up and gave me a very hard time for catching him after a minute! He asked with mock indignity “Didn’t I know he was the first person to win the National 25 mile TT on gears back in 1961?” The thing with John Woodburn is that he could be grumpy and crotchety in a very endearing way. Rather than be put out, I felt his gentle teasing was his way of welcoming me into the sport of time trialling. 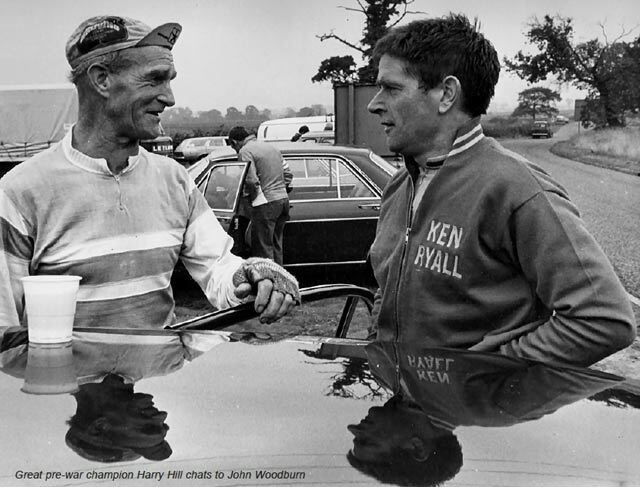 For the next 10 years, at local races, I would always seek out John Woodburn and listen to his amusing and interesting tales from his long and varied career. He did like to complain about various things, but underneath there was a dry sense of humour and genuine love for the sport – even if he did express in his own inimitable way. No matter how many times we met, he would remind me of that time that I caught him for a minute after five miles. It became a long-standing joke, in addition to my lightweight profile. “You’ve lost more bloody weight. There’s nothing of you.” was a standard refrain. In an age pre-widespread results on the internet, I was unaware for several years, John Woodburn’s career was much more than just being the national 25-mile champion. He could proudly state certain results but also be very modest as well. Woodburn was also an inspiration for older riders and a pioneer of racing into old age. He became the first Vet to win the BBAR in 1978. 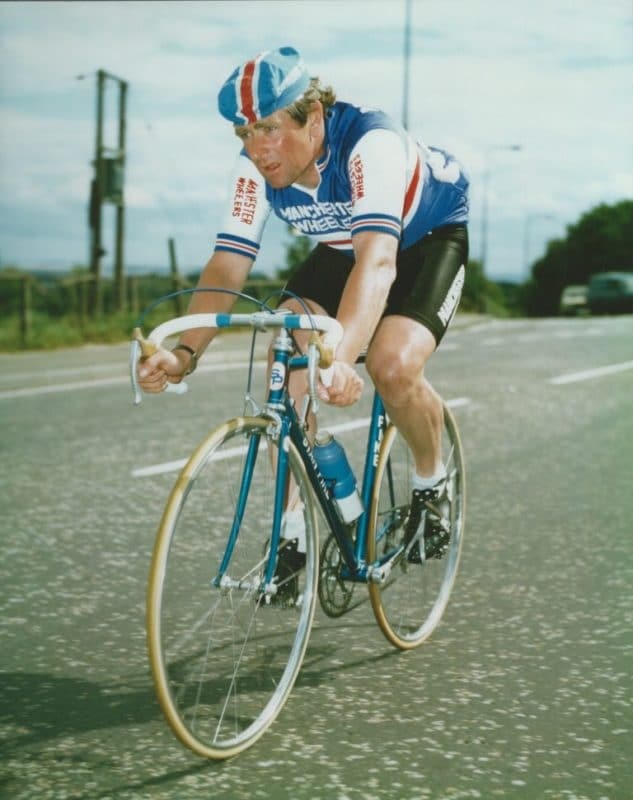 He was also national 12 hour TT champion. But, perhaps, the greatest moment of his career was setting a new record for Lands End to John O’Groats on August 15, 1982. Aged 45, Woodburn became the oldest person to break the record – slicing 96 minutes from Coupe’s previous record in a time of 45hr 3min. The record stood for eight years until Andy Wilkinson squeezed inside his record. 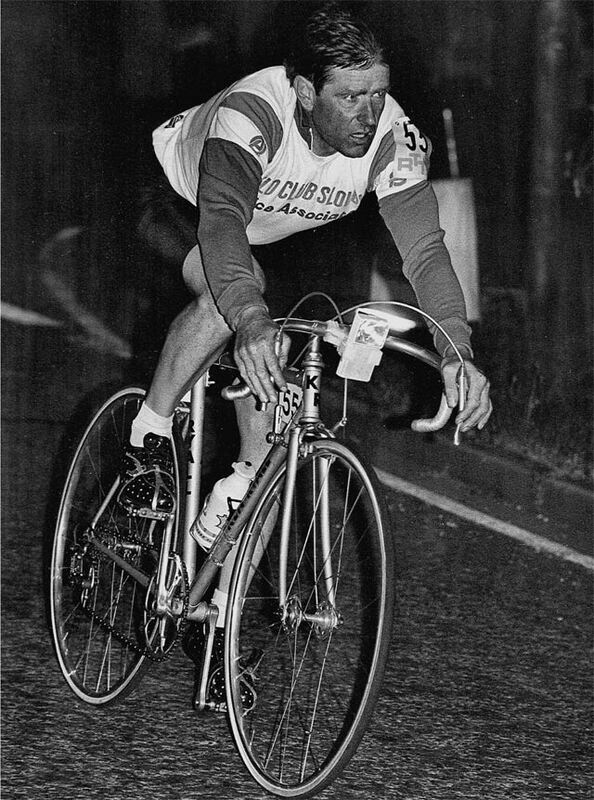 John Woodburn in 24 hour TT. Woodburn went over 500 miles in a 24 hour. Cycling Weekly reports after arriving in John o’ Groats hotel, his ankles had swollen up. He was taken for a bath and then hobbled into the lounge of the hotel before announcing: ‘The old man’s back’. When discussing the record with me, Woodburn in typical fashion, grumbled to me how the record was lost by just a minute. “He only took a minute off record. I took off over an hour and half” I’m not sure whether it really rankled or whether he just enjoyed being a bit contrary. Whatever the reason or complaints, I always enjoyed hearing his old stories – such as throwing bicycles bells off his bike (which were a legal requirement) after getting out of sight of the time-keeper. “I used to go and pick them up after the race” Like many new entrants to the sport, he got caught out for not wearing black socks to his first race. 50 years later, it seemed as fresh in his mind as when it occurred. John Woodburn was one of the great characters of the sport, I was always happy to see Woodburn’s name on the startsheet because it was entertaining and inspiring to have him at the race. You knew with Woodburn, you would never get just a few platitudes – whatever was on his mind you would get to hear. I used to always gently steer him into telling some entertaining story from the glory days of timetrials. A film by Ray Pascoe, John Woodburn: 2 days and 2 nights Revisited, is available on DVD here. I never tire of hearing great to hear stories like this.